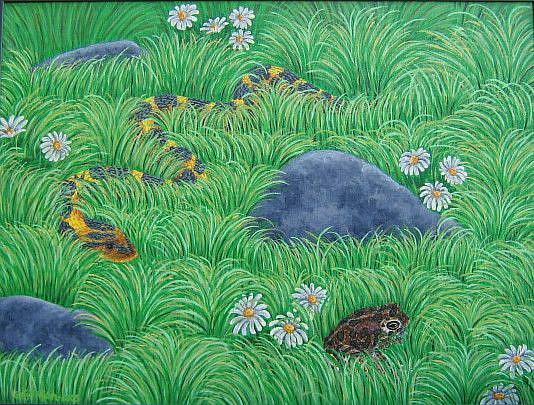 The eastern Hognosed snake feeds almost exclusively on toads, such as this American Toad hiding in the grass. 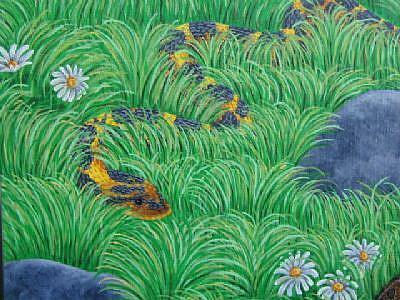 There is an element of suspense as to whether the toad escapes or provides the snake's lunch. It's up to the viewer to decide, which might lead to interesting psychological insights.